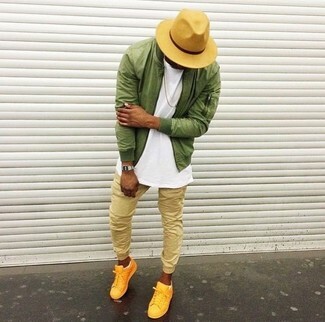 If you're scouting for a casual yet sharp getup, go for an olive bomber jacket and tan sweatpants. Both pieces are totally comfortable and will look great paired together. 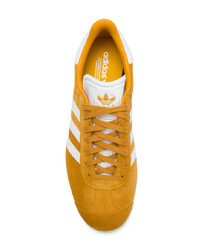 When it comes to shoes, this getup pairs wonderfully with adidas gazelle sneakers from farfetch.com. Pair a navy crew-neck t-shirt with olive chinos to show off your styling savvy. 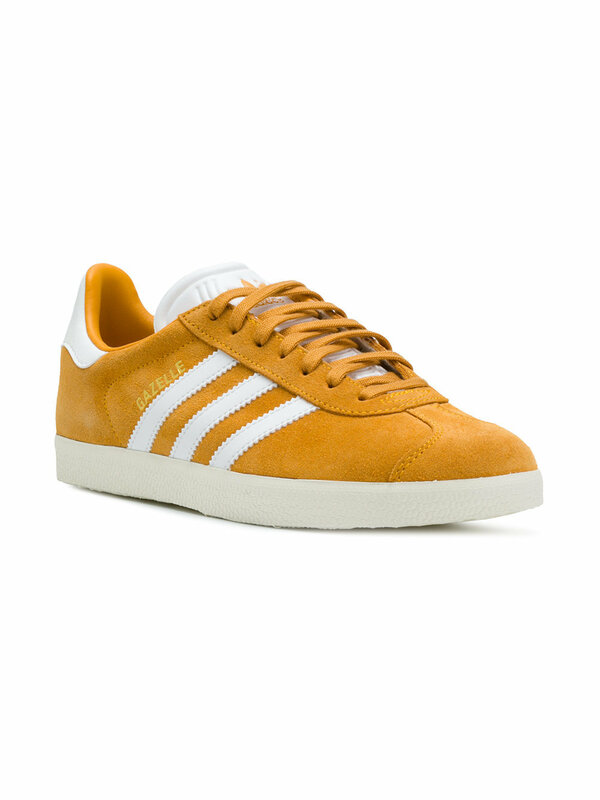 When it comes to shoes, this look is complemented wonderfully with adidas Gazelle Sneakers from farfetch.com. 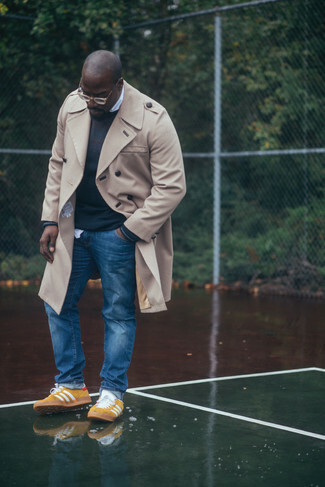 For a casually elegant getup, rock a beige trenchcoat with blue jeans — these two items work beautifully together. Add a more relaxed vibe to your getup with adidas gazelle sneakers. 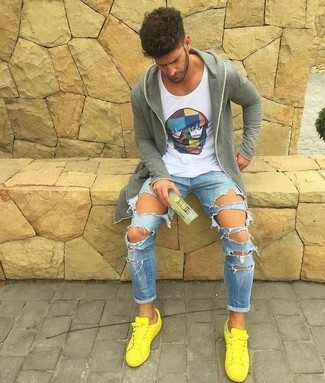 If you're a fan of comfort dressing when it comes to fashion, you'll love this on-trend pairing of a grey hoodie and light blue ripped skinny jeans. 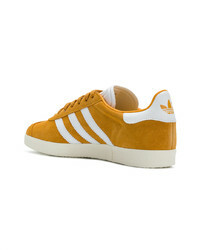 Smarten up your outfit with adidas gazelle sneakers from farfetch.com. 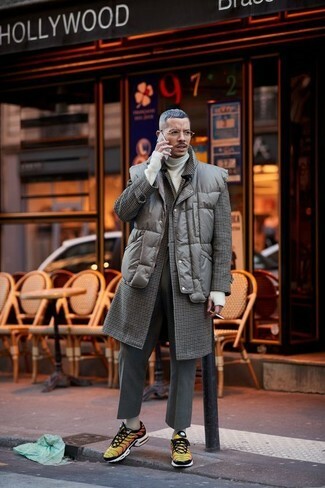 Try pairing a dark brown check overcoat with charcoal wool dress pants for a classic and refined silhouette. Adidas gazelle sneakers will add a more relaxed feel to your getup. 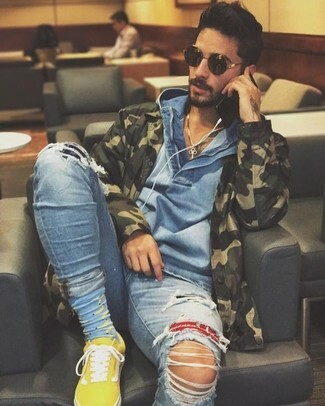 If you're all about functionality dressing when it comes to fashion, you'll love this simple pairing of an olive camouflage military jacket and light blue ripped skinny jeans. 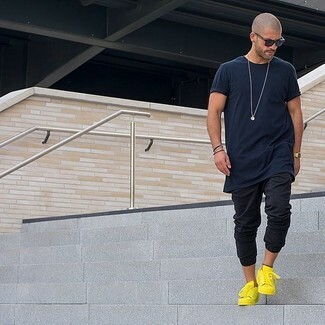 To add elegance to your ensemble, round off with yellow low top sneakers. 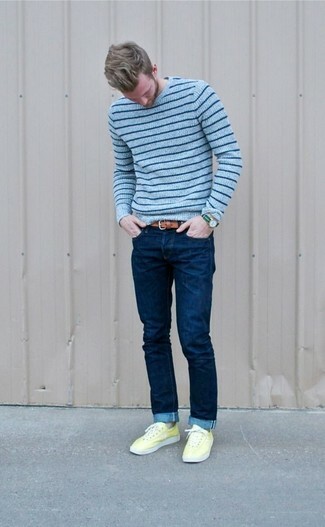 If you're all about feeling relaxed when it comes to piecing together an outfit, this combination of a light blue horizontal striped crew-neck sweater and navy skinny jeans is just what you need. Why not introduce adidas gazelle sneakers to the equation for an added touch of style? 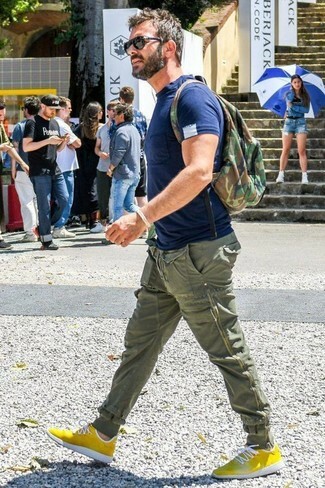 If you don't like spending too much time on your combinations, dress in a navy crew-neck t-shirt and black chinos. A pair of adidas gazelle sneakers will integrate smoothly within a variety of combos. If you're looking for a casual yet stylish getup, try pairing a grey print blazer with blue jeans. Both items are totally comfortable and will look great paired together. Want to go easy on the shoe front? Choose a pair of adidas gazelle sneakers for the day.